Waking up in pain everyday isn’t how I envisioned my life to be. 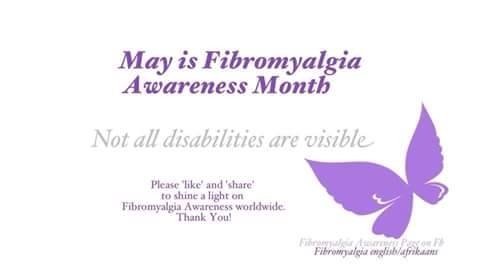 Diagnosed 18 years ago and been living debilitating pain that no one could possibly handle on their own. Prescribed medicine’s do not work for my good. They just caused more problems, more pain. Waking up in pain each day is not what I envisioned my life as a parent to be. Diagnosed when my children were 12, 9 and 2 months respectively. Just babies themselves having to take on the role of caretaker to their own mother. Missing out on a lot because of me. Having one resent me because of it. Missing out on caring for the baby a lot because of the pain. They are 30 (KJ), 27 (Ka’miko Mai’) and 18 (Kimora-Lynn) now and I can truly say I am blessed that they chose me as mom from heaven. They make me fight each day to live. Even with the pain, I could not have made it this far without them. There are many others in my shoes that do not have the support system that I have and I pray for them everyday. But I am so thankful that my family loves me and stays in my corner. The Most High seen favor with me and blessed me with another daughter. My daughter Hadar, KJs wife, not only loves me but she is also an active advocate for me and Sarcoidosis. She helps me with my health choices and also with my life. She educates others about Sarcoidosis, making them understand what I struggle with everyday. She loves me and that is such a blessing. Chronic pain, living with Sarcoidosis, living with an Invisible illness, living with an incurable debilitating disease and finally, living with a rare disease; this is my life. I fight through the pain, I smile through the pain, I live through the pain. Peace and blessings to you always Warrior’s. Well that time is quickly approaching again. I am having to recruit much needed help this year with the planning of the Marilyn’s Fight for Life KICK Sarcoidosis Awareness event in April. Thankfully I have those that are stepping up to the plate to help. In my weaking state I have been told to just concentrate on becoming healthy, step back and trust in God to provide what we need, and most importantly NOT 2 STRESS! Everyone that knows me know that I am my fathers child. My mind is thinking a mile a minute. But I digress. I will relax and Let Go/ Let God. I will update soon. Until then, peace and blessings. Hello again. Yesterday I received an infusion that took 5 hrs. Afterwards I was so very tired and worn out. My stomach ached so much to a point of nausea. But today is a new day and I am alive. What you have to understand is that with disease we could drop at the drop of a dime. The heart is the hardest organ to diagnose. It is usually found during autopsy unfortunately. Biopsies are out of the questions even though the symptoms are there. Chest pain, shortness of breath, arrythmias and tireness. This is a very serious disease that needs to be taken seriously. Til next time, keep me in your prayers as I will continue to pray for you. Yes I am happy to be alive as we start 2016, but no I am scared. Why, because everything is closing in on me and my family. Shut off notices threatning the very machines that I need to sustain my life. Notices that may place me and my family on the streets. Procedures that if I don’t have can cause my death. This is what I am facing because of this invisible illness known as Sarcoidosis. So what I truly pray for during this beginning of 2016 is a cure and a financial miracle. This disease affects the entire family. My SSI barely covers my medical expenses so the weight of it falls on my husband. He’s gonna kill me for posting this because he is a very private person, but the truth is the truth. Not sugar coated. So if you don’t hear from me for a while please know that this is what we are facing. Now here is the hard part, if you can please help and donate to my campaign. http://gofundme.com/marilynsfight4life Every bit helps. Continue to pray for me as I will continue to pray for you. I came across a beautiful poem written by a dear family friend. It speaks to us who live with chronic pain. AND WISHED THAT WHAT YOU FELT COULD JUST DRIFT TO THE SKY..
LIKE WHEN THE PAIN THAT YOU BEAR BECOMES ALL YOU DISPLAY. I SEARCH FOR SOMETHING ELSE THAT PUTS A SMILE IN IT’S PLACE..
TO THE POINT THAT I SMILE AND I TEAR AND I CRY….